Using the telescopes of the European Southern Observatory (ESO) in Chile, Jones’s team looked at M3-1 over a period of several years. In the process they discovered and studied the binary stars in the centre of the nebula. “We knew M3-1 had to host a binary star, so we set about acquiring the observations required to prove this and to relate the properties of the nebula with the evolution of the star or stars that formed it” says Brent Miszalski, researcher at the Southern African Large Telescope, and co-author of the study. The two stars are so close together that they cannot be resolved from the ground, so instead the presence of the second star is inferred from the variation of their observed combined brightness – most obviously by periodic eclipses of one star by the other which produce marked drops in the brightness. 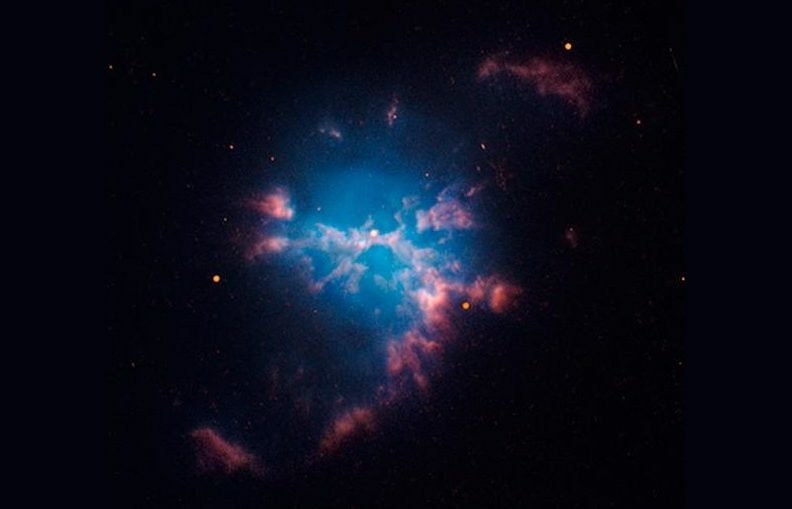 The team discovered that the central star of the planetary nebula M3-1 has one of the shortest orbital period binary central stars known to date, at just over three hours. The ESO observations also show that the two stars – most likely a white dwarf with a low-mass main sequence companion – are almost touching.